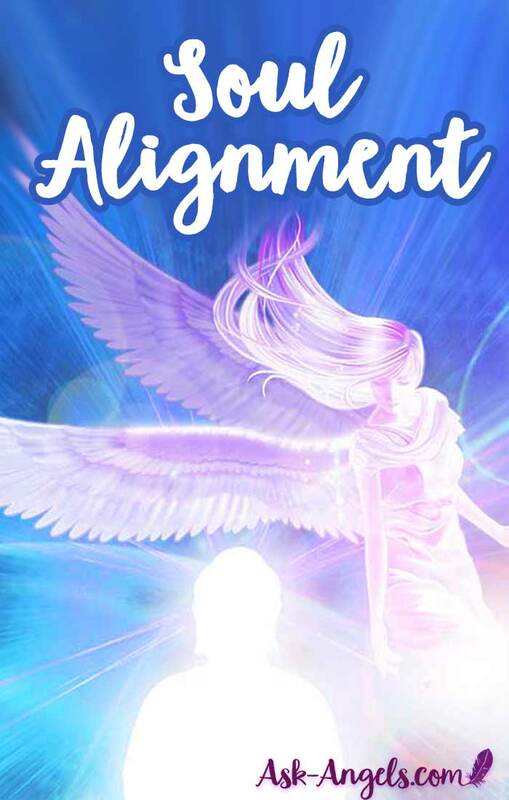 Archangel Metatron and Archangel Michael connect in this beautifully uplifting and re-balancing soul realignment healing. Lift, expand, and then anchor your Soul Presence. Align your soul light within your physical being in the present time, and as a result… Progress forward, to take a quantum leap on your journey of embodiment. At this time, allow your breath to become your conscious point of focus as you begin to shift your awareness within. I ask that we each be surrounded with our teams of Guides, Angels and Ascended Masters of the highest Christed light and love. Enter into this present space. Lift our frequency. Support us in tuning into your clear guidance and to whatever will most serve now. Greetings from Metatron, Michael and indeed, the fully awakened divine presence of your soul – We greet you in this moment now to support you in lifting consciously, expanding and opening to tune into a greater level of your soul light, your Divine I Am truth… Your individualized expression of Divine, and then anchoring this, centering this within your physical being in your present time to progress forward, to create a quantum leap on your journey of embodiment. And so, let yourself consciously relax. Begin by relaxing your mind, letting your mind find a point of still and calm where you’re able to simply receive the blessing, the guidance, and the insight available to you now with clarity and precision. It is if your mind is becoming a clear mountain lake, perfectly still, perfectly calm, incredibly clear, perfectly reflecting its surroundings. And so, in this moment now, your mind becomes the perfect reflection for the light of the higher realms, the love of the divine and the presence of your soul within and all around you now. To support yourself in quieting your mind, let yourself simply observe thought as it arises. Observe the thoughts that appear from your mind, and let each thought be an invitation into the space between your thoughts. Let each word we now speak be an invitation into the space between the words, the space between where you are able to access the still, calm space within and all around you. And as your mind quiets and you tune into this Divine space within and around, a blissful, peaceful, incredible feeling rises up from within you. It rises up from within your core, for the stillness creates the space for you to directly perceive and access your Divine Core, your Divine I Am Core, manifest as light shining within your open heart, your clear mind, your divinely aligned will center in your abdomen. At this time, all the chakras of your physical body are united as one pillar of Divine I Am presence of crystalline ascension light and love. Visualize this core of light vibrantly shining within you and as you actively imagine the light within, visualize it growing in radiance, shining more brightly. Through this, you call more light in. So, through your visualization, imagination or just feeling the energy and tuning in through your awareness, the light at your core begins to shine brighter. It is illuminated. The quality of energy opens up for you to consciously enter in, so you now perceive the golden light all around you. Like you're standing in a sunbeam, it warms, lightens, illuminates your divine truth. Lift in the light now. Expand in the Divine Light Frequency. You might imagine or sense or perceive or feel and experience the Sun. The Sun shining down upon you, the Sun receiving direct from Source, the Infinite, the codes of awakening, the frequencies and energies, the blessings which will most serve you in this moment now. That will most serve you on your path of awakening, and on your path of soul embodiment. And so, from the Infinite Mind of God, the Light of Source, from Spirit, the Sun now shines brighter upon you, so you are now receiving all the blessings, all the love, all the light, all the frequency, the activations that will most serve you and in a sunbeam, a pillar of light. These blessings shine down upon you. Receive the blessings of light flowing down in through the top of your head and into your mind. Feel yourself receiving the light in the center of your brain, the light illuminating your pineal and pituitary glands, your “Cave of Christos”. The light illuminating your mind's eye, activating this center of higher perception. Become aware of an orb of golden light now all around your mind, around your head, around your third eye. The golden light blessing, unlocking, awakening your higher perception and paving the way for a more complete embodiment of your soul light within your physical form. Feel this light now continue to travel down, remembering that you are receiving a great influx, a great surge of light direct from Source, broadcast through the Great Central Sun, broadcast through your Sun and shining down upon you now – this inner light lighting up your core, flowing into your mind, into your throat, and opening, activating, blessing and into your heart. Let your heart light up. Let the golden light completely surround your heart center, bringing balance, harmony and blissful peace to your entire being. Let your heart awaken to a new level. The doors opening, the light expanding out, brilliantly shining like the light of a Divine Sun, the Divine I Am Presence shining, pulsing, glowing within your heart and all around. Feel the light flowing into your divine will center, your upper abdomen, glowing with light. Now allow the light to travel down into your sacral, your root, flowing into your hips and legs and feet. Feel your entire body glowing with light, the light of the sun, the light of the Divine, the light of Source. Let this light shine, open up, and expand around you. Your every cell is glowing with light. Your mental body calm and clearly reflecting the incredible light within and around. Your emotional body lighting up with joy, peace and harmony. This core of light expanding out like a doorway opening for the highest embodiment of your Soul and your Highest Divine Self to step through, to anchor, to embody through you in the physical, in this moment now. Clear mind, awakened open heart, vibrantly shining and focused will, a willingness to allow your highest divine presence to now anchor through you. This may feel like a tingling sensation all around you. Your core column of light, your Divine I Am presence growing, expanding. You may perceive yourself becoming very tall. Lift up, open, expand to receive and embody, sense and know the truth of your Divine I Am Essence. Your individualized Divine Expression lighting up your core, lighting up your energy body, flowing forth blessings all around you, for you are coming into perfect crystalline resonance with divine love. And through this resonance, you’re able to now receive effortlessly, the blessings, the recalibration, the rejuvenation, the activation and initiation available to you now, receiving the direct firsthand experience of your Divine I Am shining within your core, embodied… Who you are. 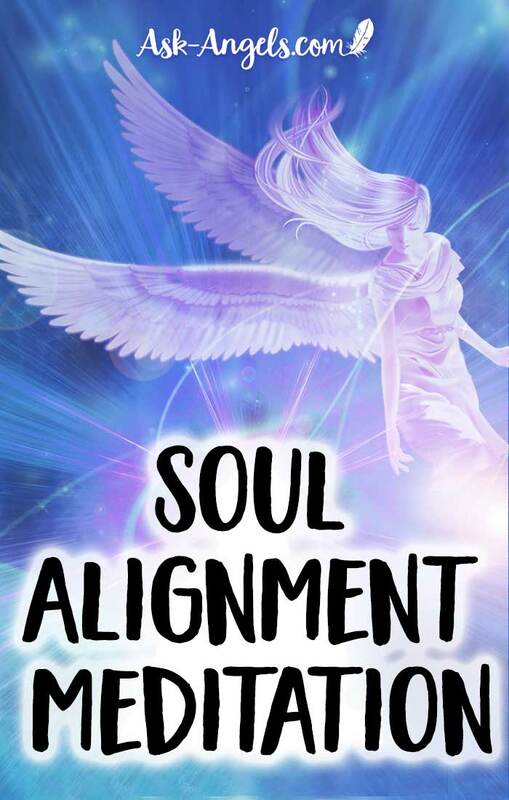 Your soul now shines forth a quality which is your highest level of focus now, the divine quality you are anchoring through your individualized expression. There, of course, are many, but let yourself become aware of one now, one divine quality. Allow this Divine Soul Quality … this word, sound, color, the pattern of energy circulate through your being, dislodging and releasing the patterns of illusion and distortion, fear and insecurity, tension and trauma out of alignment with your embodiment, with your becoming an individualized expression of Divine. You may become aware of the energy beginning to spiral around you, the sacred geometric container of the Merkaba, Metatron’s cube spirals around you faster and faster, assisting you in letting go, releasing, clearing out the judgments, fears and distortions, so that your radiance can clearly shine through. Your clear, bright energy field, the radiance of light in your aura, clear mind, open heart, willingness to embody the Divine I Am, the individualized crystalline expression of the Infinite, of All That Is, of Source, of God… Receiving from the Sun, from the Great Central Sun, from the Divine I Am, a blessing – opening your ascension column, activating you as a divine pillar of light. Your divine I Am core, your ascension pillar links all the way up, spanning all the way up into Source light, Infinite, and is flowing all the way down through the higher dimensions into the physical realm, into your life, into your body, into your radiance and grounding all the way down through the crystalline grid, to the light at the crystalline core of the earth. You are this Divine I Am pillar of light. You are blessed. And understand that through receiving these blessings, your quality of energy, the resonance of your aura changes, for you are crystalline and so, you hold this template of divine love through your willingness to embody all that you are, through your willingness to embody your soul truth, through the openness in your heart and the clarity in your mind. You are the Divine I Am, crystallized through your personal, individualized, physical and multidimensional expression. You are lifted, supported, cleansed, blessed and so loved. Know that you are able to return to this truth of your perspective, repeating this experience and through your day to day life, choosing to find the space between your thoughts. Enter into the space between moments, the space between words, the space between your every cell, to tune into your Divine I Am Core. Consciously returning awareness now to your present point in time, recharged, refreshed, and ready to step forward in perfect resonance with the love, truth, peace, harmony, divine soul quality, your divine soul light, Divine I Am expressed through your every word, action, intention, moment through being, embodying, shining in coherence with the truth you are, remembering your direct link to the earth and to the infinite, open heart, clear mind, willing. Thank You AA Michael and AA Metatron through Melanie..and thank You Melanie..with Love and Gratitude ! Thank you ! Thank you! Thank you dear Melanie for sharing this amazing meditation.I enjoyed it and felt great.To me you are that Angel who sent me this amazing meditation. Let the divine Source bless you many folds!! Thank you! Thank you! Thank you!! Melanie .What a divine soul you are.I am blessed.Let that Divine source bless you many folds for helping people like me to connect it! Many blessings Divine soul! Thank you – Angel Christopher of Divine Love is embodied through me!! !